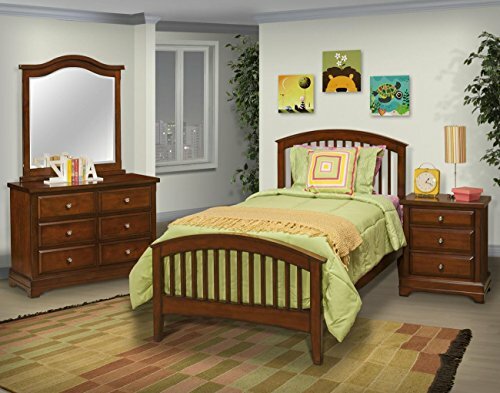 The Sandpoint Youth Collection features a sturdy quality construction and a stylish design that are the hallmarks of this bedroom collection. This enduring style features hardwood construction with select veneers in a rich tobacco finish. Wooden hardware with metal insets add the finishing touch. The panel bed features a slatted style headboard and footboard making it catch your eye. Classically designed, this collection is perfect to grow with your child from kindergarten to college!